Two rare videos of Leon Theremin and his daughter Natalia Theremin Kavan have been posted to YouTube by ThereminFamily.org. 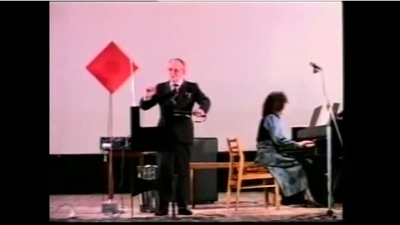 In the first, Leon and Natalia Theremin perform Glinka's Skylark in 1987. According to a comment on the site, this is one of the songs he performed for Lenin. 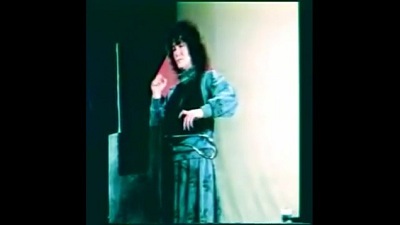 In the second video, Natlia Theremin performs on the theremin with piano accompaniment by Rubin Abdullin. These two videos are a rare glimpse into Theremin family history and certainly a treasure! Special thanks to YouTube user Lirego for posting these!